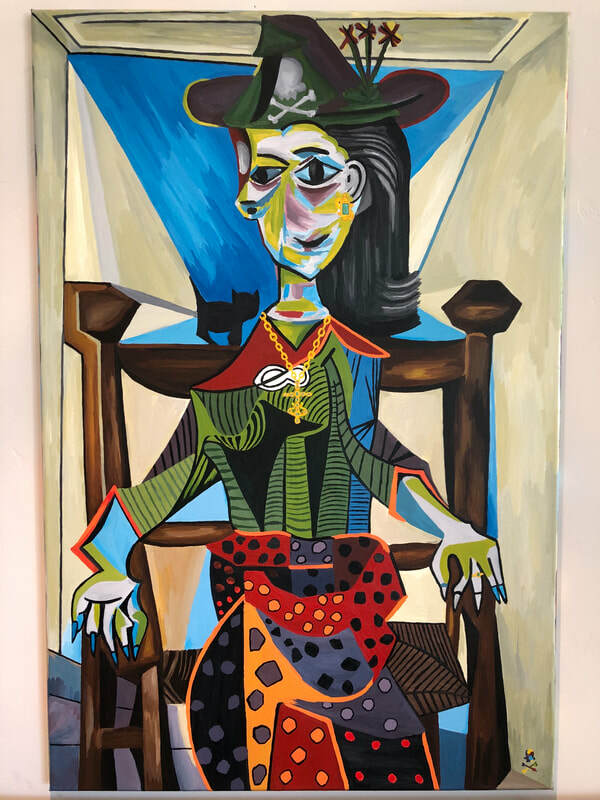 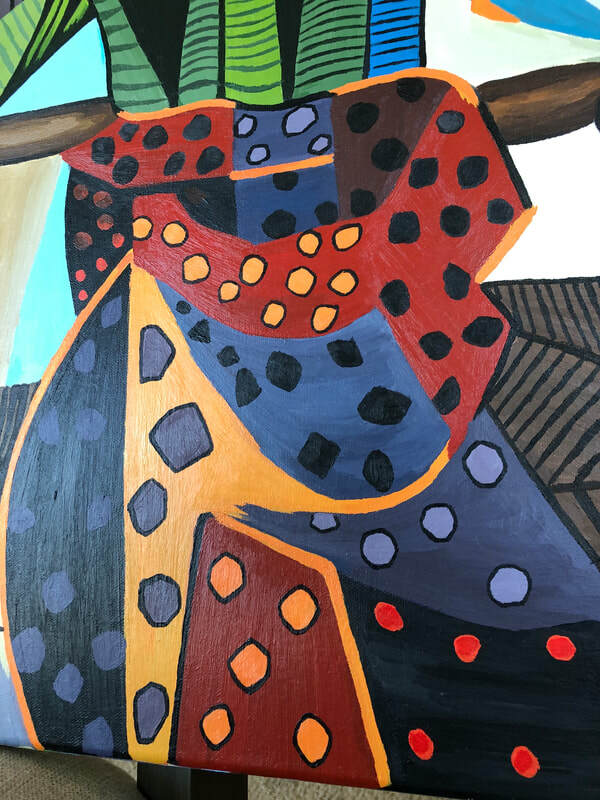 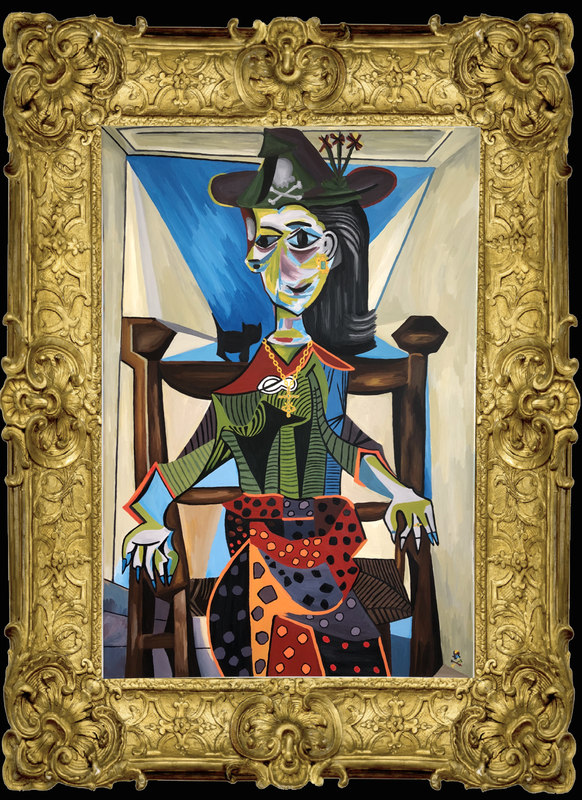 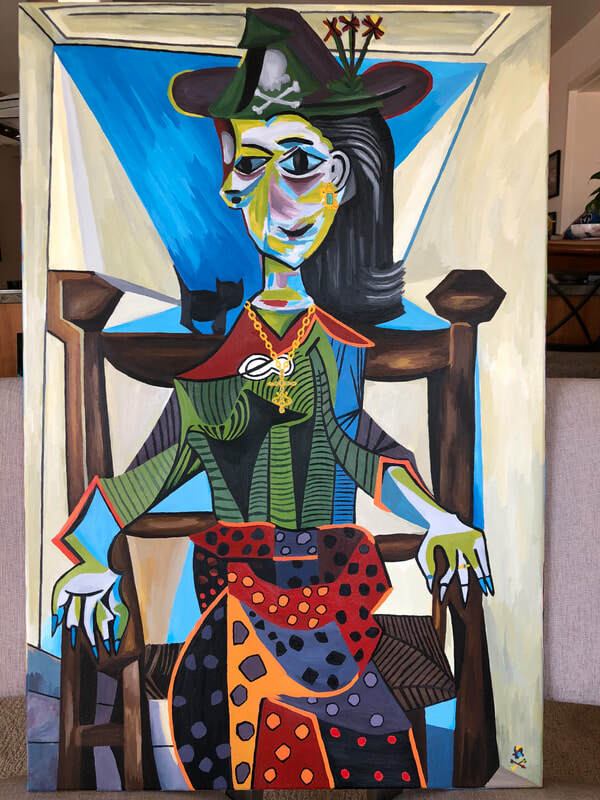 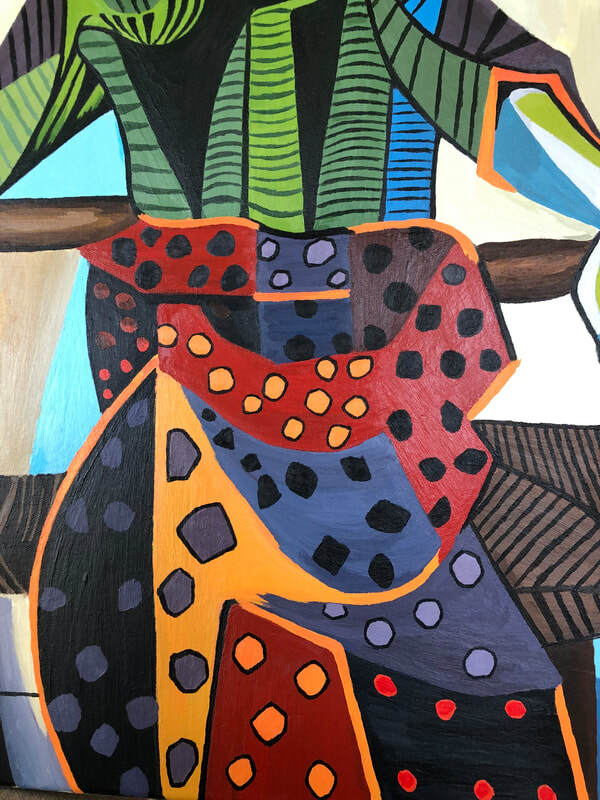 Treasure Paintings by JR Bissell: A Pirate's Rendition of Pablo Picassos "Dora Maar au Chat" which sold for $102.3 million back in 2006 (Sotheby's)! 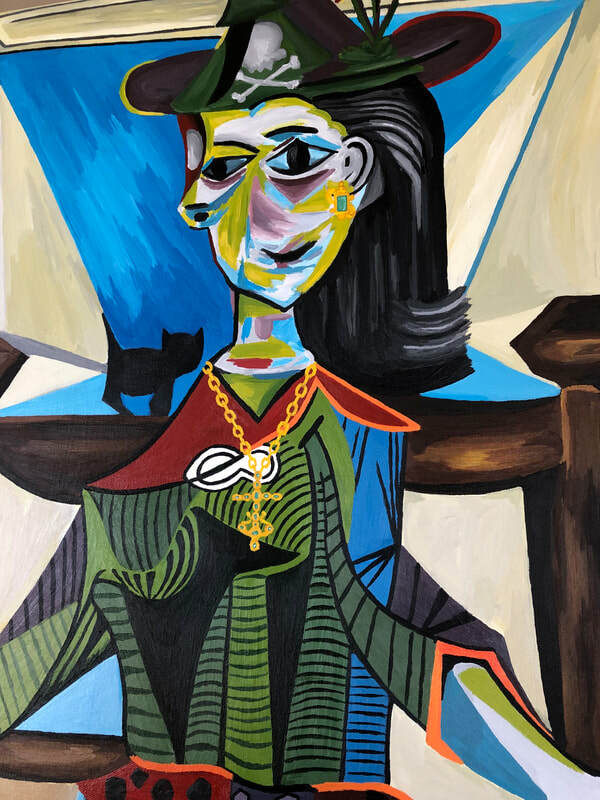 This was originally painted by Picasso in 1941, it depicts Dora Maar, the painter's lover, which is one of the world's most expensive paintings. 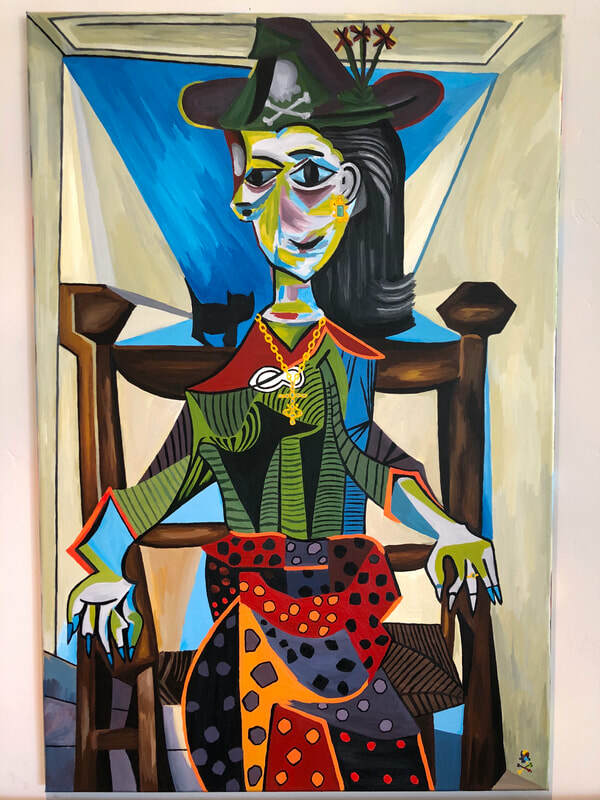 I also added 3 Shipwreck Artifacts into the painting, giving it my touch of Pirate. 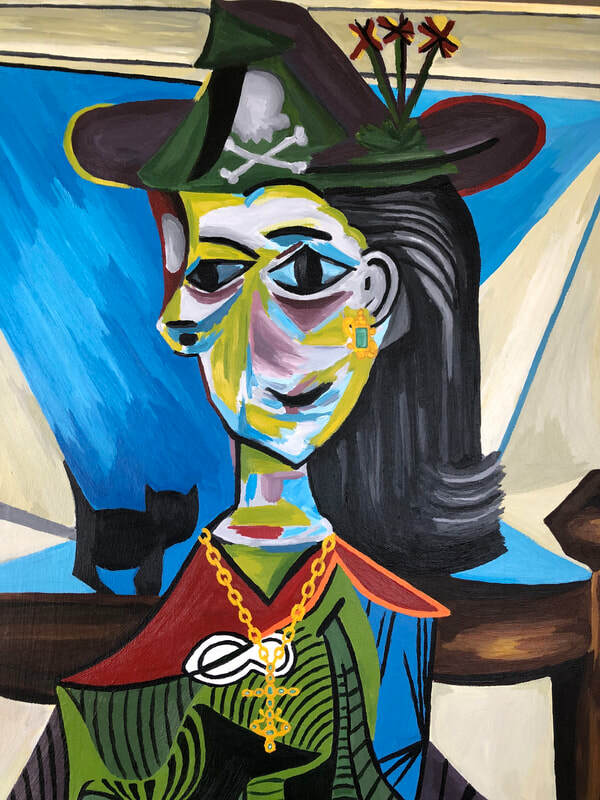 The 1715 Fleet Shipwreck Gold & Diamond Cross currently avail for $100,000 part of the "Queen's Jewels"